132,516 acres of beautiful water! That is Mille Lacs Lake! Enjoy your evenings sitting at the Lake-side patio! We are offering you a nicely furnished, 3 bedrooms/2.5 bath property for your enjoyment! The main level has a living room opening to three season enclosed porch and exquisite lake views! The living room also offers a cozy wood-burning fireplace! There is a full kitchen set up for family use (includes dishwasher so your vacation isn't spent over the sink!) and a dining area off the living room. Utility room has a washer and dryer. Large Master Bedroom with patio doors to your lakeside balcony! What a way to wake up! The view is magnificent! Half bath on the main floor and two full baths upstairs. All good size bedrooms. King bed in Master, and Twin beds in bedroom 2 & 3. This is an end unit, nicely situated in a quiet area. Unit has heat, air conditioning, fireplace and TVs! Covered 3-season lakeside porch. Close to the marina, the golf courses, the tennis court, the playground, and a new swimming dock. Only 1.5 hours from the Twin Cities. Near multiple public access to Mille Lacs. Fishing launches and entertainment all around! Grand Casino is only 20 minutes away. Minnesota is the home of over 10,000 lakes - you are within a short drive of dozens of other area lakes and State Parks. 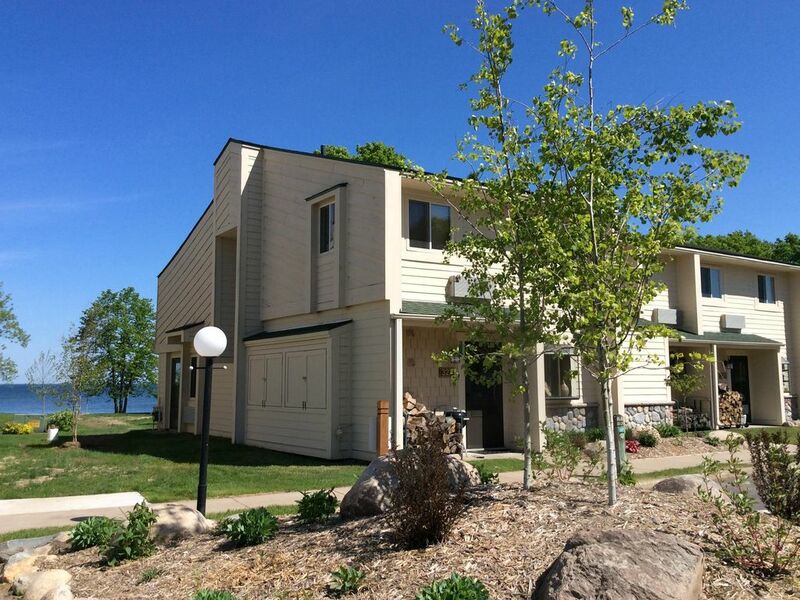 Bob and Tina Erickson, Renata 21, Joey 17, Molly 13, are the proud owners of Beachvilla 327 at Izatys in Onamia, MN. Steve and Audrey Temple are also owners. We love visiting Izatys for the golfing, fishing, swimming, bon fires, and the beautiful sunsets. It is the best vacation spot for us and it is just a short distance from the Twin Cities. Three season porch on lower level & deck off of Master BR overlooking lake. Beautiful sunsets! Brand new couches and CARPET. If you want to bring your boat call the Marina at 320-532-3225. The marina is walking distance from out unit 327. Nice weekend. Very relaxing. Loved the fireplace considering we have gotten 16" of snow in the ladt week. We had such a good time with our family at Izaty’s. The big hit was the pickle ball court, the kids could not get enough of playing it. Swimming in the pool and looking for crayfish was fun. Pretty good weather to get things done, but could have been warmer. Good to have the indoor pool open. Friday night was perfect for a bonfire at the fire pit. Thanks for sharing your place. Great view from the master balcony. All the items needed for a good vacation were at the unit. It was clean and ready. We sat in chairs lakefront or on the screen porch and enjoyed the weather. The kids loved the pool. Don't swim in the lake as the kids got swimmers itch. Great place for the whole family. Quiet during the week too. We made big meals together and played games. Lots of fun. We had a wonderful time! This property has everything you could need, including unexpected amenities like beach towels and water toys for the kids. The kitchen is well equipped with plenty of glassware and dinner settings, pots and pans and cooking tools. Bonus: there's a Monarch butterfly way station right outside the door. Beautiful, and it attracted lots of butterflies, honey bees and hummingbirds for our viewing pleasure! This stay exceeded my expectations. The property was great, beautiful view and good location to pool and marina. Owner was great to work with and allowed us to check in early. Izatys is a very nice resort and we are already talking about going back next summer. The place we rented was very clean and well kept. We had a beautiful view of the lake with lots of area of area for the kids to run and play.Tina was great at communicating, so it made planning our vacation easy. Set in the middle of many area lakes, fishing launches, jet-ski rental in the area. Mille Lacs is very popular for wind surfing.